Roger’s career with Ernst & Young has been primarily focused on serving companies throughout the Metropolitan New York Area. Prior to his appointment in the Long Island office, Roger held other leadership roles, including head of the Metropolitan New York Area’s Strategic Growth Markets group and Venture Capital Advisory group. He was also the Partner-in-Charge of the Area’s Ernst & Young Entrepreneur Of The Year® awards program. In these roles Roger served many early stage private equity and venture-backed companies, including assisting them through the IPO process. 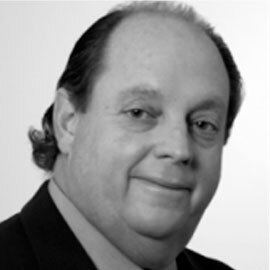 Having served as Coordinating Partner for numerous public and private companies, Roger has extensive knowledge and experience regarding accounting and auditing issues, including revenue recognition, stock option accounting and corporate governance. He also has extensive experience assisting companies with initial public offerings and other 1933 Act filings. In addition, Roger advises clients on 1934 Act filings, including Form 10-K’s and 10-Q’s and the Sarbanes-Oxley Act of 2002. Roger holds a BA in accounting from the State University at Albany and is a member of the New York State Society of Certified Public Accountants and American Institute of Certified Public Accountants. He is a board member of the Long Island Children’s Museum, the Long Island Association and is President of Fresh Meadow Country Club. Roger lives in Great Neck, New York with his wife Hildy and their children Scott, Evan and Ryan.